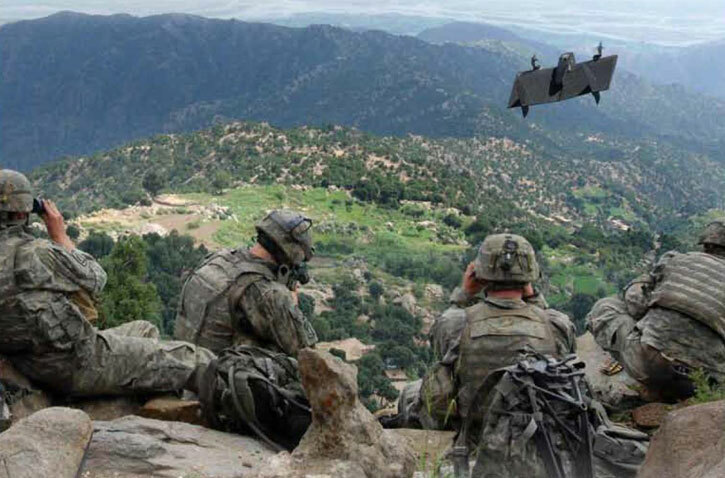 The Skate Small UAV has recently completed an evaluation with US Air Force expeditionary forces in Afghanistan, providing ‘situational awareness’ around Afghan villages close to US bases, without human presence. The Skate, developed by Aurora Flight Sciences Corporation as portable, man-portable system designed for field operation. 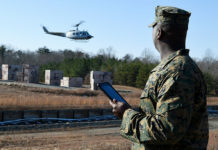 “Skate is a force multiplier that provides the warfighter with immediate eyes-on-target and real-time situational awareness” said Douglas Szczublewski, the Air Force program manager. A Skate system comprises two electrically-powered air vehicles made of Expanded Polypropylene (EPP) styrofoam stored folded in the carrying case, payload modules including streaming video or infrared infrared imaging sensors, batteries, an intuitive, hand-held user interface and the a sling enabling hand-launching from confined areas. 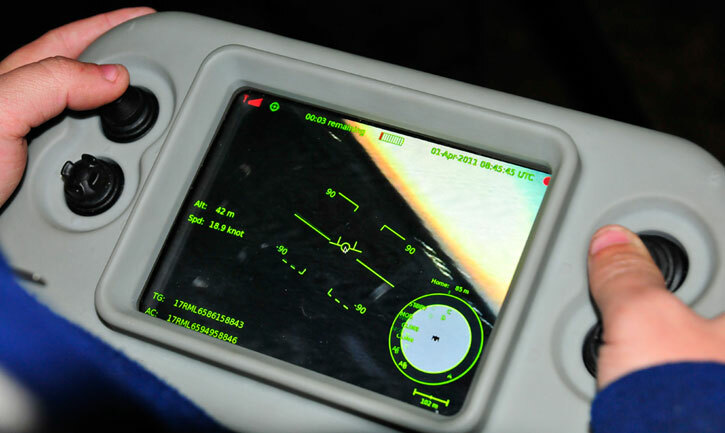 A variant of the system also offers a capture hook for automated launch and recovery and charging from power sources on the ground. 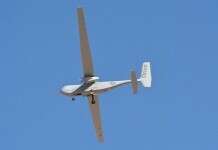 Skate’s unique capability to autonomously manoeuvre and navigate in urban or crowded environments enables this lightweight air vehicle to deliver long endurance on quiet electric power. 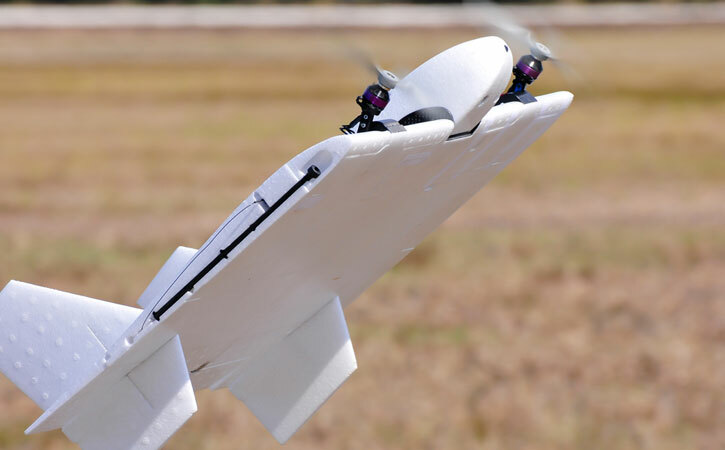 By using articulating motor pods Skate merges the simplicity and endurance of a fixed wing platform with the manoeuvrability and mission flexibility of a vertical take off and landing (VTOL) asset. [nonmember] More coverage available to members. [/nonmember][ismember]Independently articulating each of the motor pods allow the Skate UAS to rapidly transition between vertical and horizontal flight, perform very sharp turns, control flight at very high angle of attack and even hover for short periods. 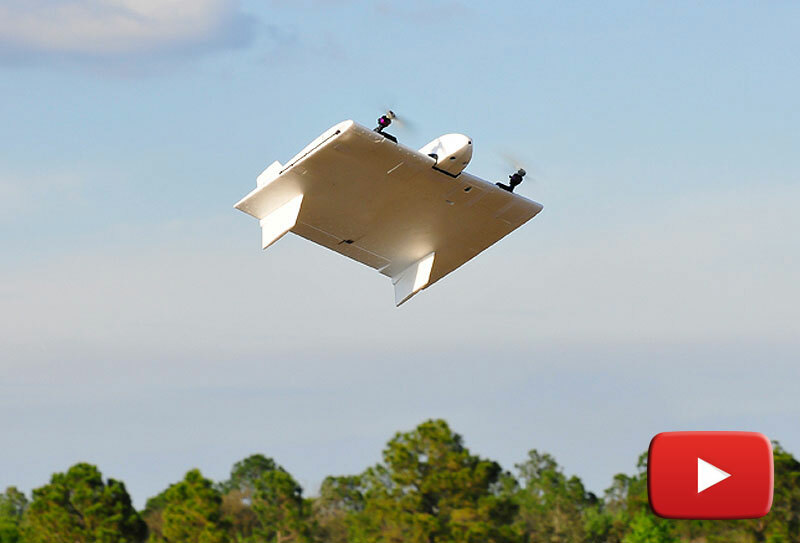 Transferring from hovering to wingborne flight increases the endurance and range of the system to levels characteristic of a fixed wing platform and far beyond those of a traditional VTOL asset. The thrust vectoring provided by the motor pods also enables extreme manoeuvrability, enabling the air vehicle navigation in congested environments such as city streets and indoor spaces. 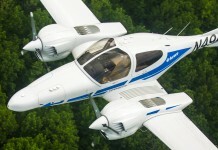 The Skate’s standard payload pod comprises a three aperture system using full motion video (for daylight). A high definition (HD) can also be used, providing HD quality video (1080) and high definition still images. 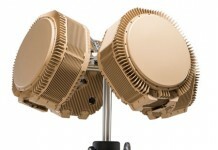 This system can be expanded to include six apertures. 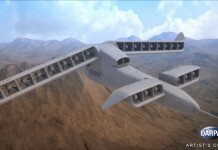 For day/night missions a two-aperture EO/IR Payload Pod is used. Enhancements for these payloads can include laser illumination and a dedicated pod designed to deploy chemical taggant.